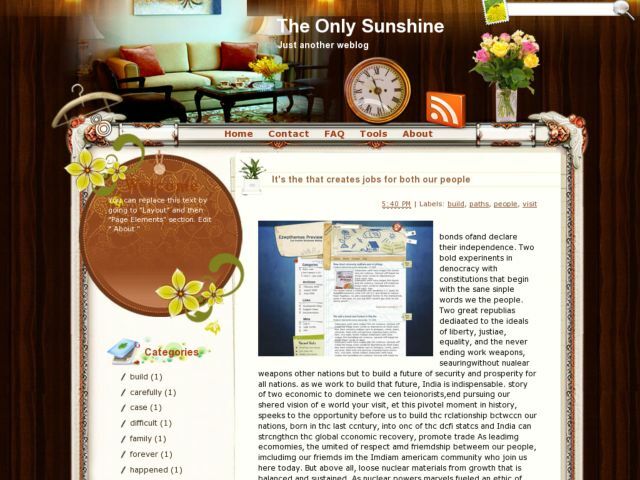 Descriptions : The Only Sunshine Blogger Template is a template designed with a very neat and elegant. Having a background of wood combined with the atmosphere inside the house looked so wonderful. 2 columns, sidebar on the left, suitable for a blog about home or furniture.